1. Upon submitting this form, you will receive an automated response confirming the submission of the form. You will then receive a personalised response from the centre staff confirming your reservation request including availability and a confirmation of the price. We will require a confirmation from you to finalise the reservation. 2. A personalised response will only be provided between our opening hours. If your reservation request is received by the centre staff between our opening hours and minimum half an hour from closing time then you will receive a response as soon as possible on the same day. Otherwise, our centre staff will respond on the next working day. 3. Submitting this form does not guarantee you the unit or price displayed. A. Our team try to keep the prices and deals as accurate and up to date as possible but in the case of any inaccuracies, it is down to the discretion of the centre staff to provide the final quote. B. The availability of a given unit is not guaranteed and our staff will contact you personally in response to your reservation request to confirm the availability of the requested unit. 4. If you do not receive a response, please check the email address you provided to ensure it is accurate. Otherwise, we would like to apologise for any inconvenience caused and would request that you please re-submit the form ensuring you see the confirmation line which will appear below the form or attempt to contact us through other means. 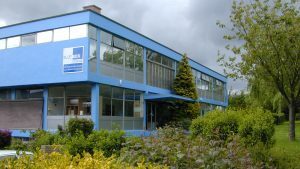 The centre phone numbers are provided on the centre pages or we have a free phone number 0800 91 71 221. At Blue Box Storage we often have deals on units. Below are the Terms & Conditions which apply to any storage deals which we may offer and will apply to all customers at all of our centres. 1. Any Deal or offer extended to the customer by any means (e.g. 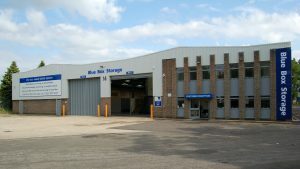 On the website, in person, over the phone, by email) can be retracted at any time at the discretion of any member of staff at Blue Box Storage unless otherwise specified in a personal quote. 2. Certain deals we offer are restricted to certain unit sizes and are exclusive to the individual centres. These deals are limited time only and can be retracted at any time unless otherwise specified in a personal quote. Once a quote is received by the customer, Blue Box Storage will only guarantee a special deal for a maximum of two weeks without a reservation. A customer can reserve a unit for a maximum of 14 days free of charge. Any reservation for longer than 14 days will require a refundable security deposit paid in advance to secure the unit and the deal. 3. All our deals and offers require a minimum storage period depending on the particular deal. If the customer wishes to terminate their storage agreement before the end of the minimum time set by the deal, the customer will be charged to the end of the minimum storage period. Once the minimum storage period has ended then the customer is now subject to the 14 day notice period and termination of storage agreement set by our Terms & Conditions. 4. For example: A 50sqft unit is offered at 50% off the 1st 3 months. This particular deal is subject to a minimum 3 months stay. If the customer wishes to move out prior to the end of the minimum period, say, at the end of the second month, then the customer will be charged for the additional month of storage remaining in the minimum storage period specified by the deal regardless of whether the unit will be occupied by the customer or not. The customer will then be refunded their full security deposit once they have vacated the unit. 5. 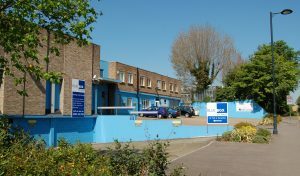 The full minimum storage period specified by the deal will be payable in advance when the customer moves in along with a standard refundable security deposit unless otherwise specified by a member of staff. For example, for a unit which is 50% off the first month with a minimum storage period of 2 months, the customer will pay one and half months rental plus the refundable security deposit when they move in. 6. 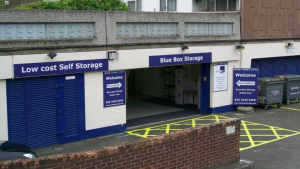 Any deal offered by Blue Box Storage is restricted to a single unit or unit size and cannot be used across multiple units or transferred to a new unit should the customer move to a new unit during their stay. 7. All deals offered by Blue Box Storage are for new or returning customers only and are not applicable to existing customers or customers who have vacated any Blue Box Storage centre within the last 30 days.